Over the 25 years that I’ve facilitated Soul Integration sessions I’ve never met an unborn baby that didn’t hold a spacious, non-judgmental quality of expanded consciousness. One that is quite devoid of ego. 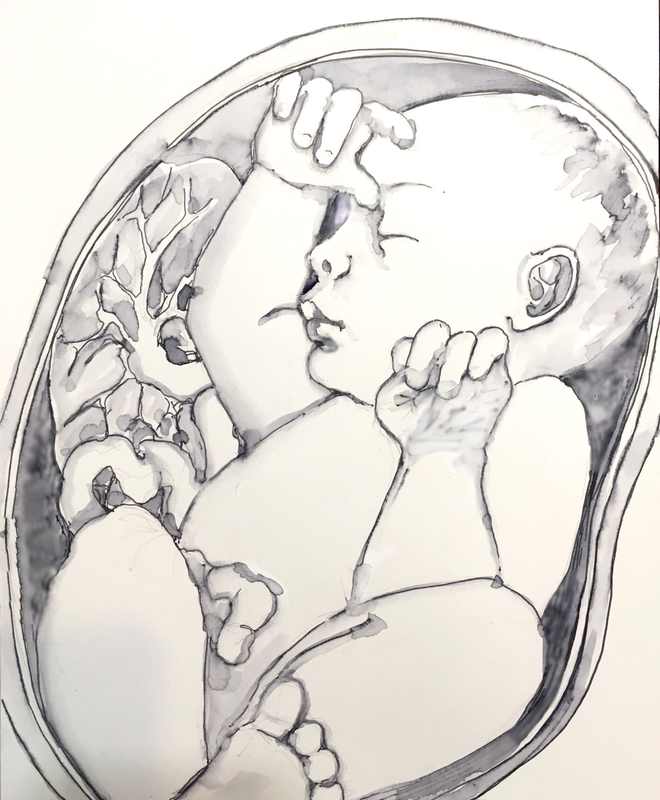 Sure they come in with baggage, but until they are squished into their unwieldy and demanding bodies at birth, they seem to have a slightly amused take on the twisting, turning journey of life ahead of them. They obviously have no care for how insurmountable the mountains or obstacle-strewn some of the ravines are that they might encounter. They’re either really courageous or really dumb. These are the eyes of Anandamayi Ma. She was an enlightened being who possibly never lost her connection to her Soul Self when she was born, because even as an infant she was wise. The unborn babies and Anandamayi Ma inspire me. No matter my present level of consciousness, I long to experience life from their level of soul expression and expanded consciousness, and I want to do so here in the hurly-burley brusqueness of life. I want to investigate this potential with others because I do believe it is possible for all of us. I believe we each know our own soul essence, and how to express it in our life. Hence the soula and soulfulness workshops where each participant is given the opportunity to explore his or her unique soul essence. Since everyone is different the course is structured to flow wherever you shine most brightly, and to listen in with care, attention and love to that spark of who you truly are. Soula, or soul doula, courses are created for care-givers. A doula is someone who is in service to others, a soul doula is in service to their soul essence, whether at birth, at death or at any of life’s transitional stages in between. How do we stand in our own inner clarity and soul knowing so that we may support others to find that essence within themselves? Soulfulness courses are created for individuals who want to explore their own liminal interior lands for themselves. Actually there isn’t much difference. When we explore our own soul essence, we discover that we are so intimately intertwined with all other beings that we are simply one great pulsing life force, so when we care deeply for ourselves, we quite naturally care for others. Whether we explore soul essence on our own or together, whether we do it for ourselves or for others, soul work is true because it is outside of the intellectual mind with its capacity to control and manipulate outcomes. It might seem that focusing inwardly when there is so much of the world needing our attention is like fiddling with our belly buttons while we watch Rome burn, but until we meet the truth of our own selves it is hard to to respond appropriately to the needs of the world.